Well, finally there is some time to update the blog and talk about what’s going down! Last week was an insane week of no rest. 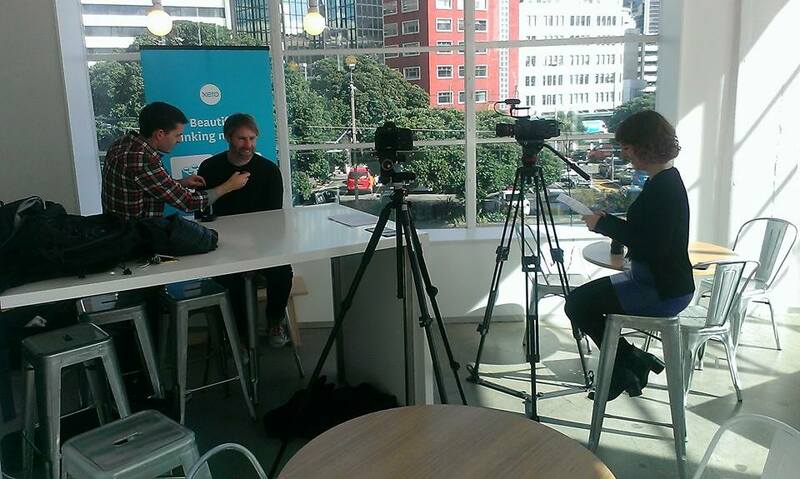 Jumping all around Wellington city, filming for Summer of Tech. With a little help Jarod Murray, a creative master of artistic super shots…. If you are looking for a corporate video, we have got news for you! We can take care of everything from lighting, camera, sound and of course our number one service – animation. If you are in the Auckland or Christchurch area and are searching for Video production, we can service your area too! Just drop us a line and we can quote you.